Every trailer so far for J.A. Bayona’s (The Impossible, The Orphanage) A Monster Calls has kept the titular monster under wraps, instead relying on Liam Neeson’s raspy vocals to create a sense of wonder and mystery for this adaption of the classic children’s fantasy novel. Now, the monster stands fully revealed, as does how visually impressive and unique this movie is going to be. Sharing DNA with both The BFG and Where The Wild Things Are, this promises to be utterly fantastic, telling a story of pain, courage, and loss in a way we rarely see nowadays. 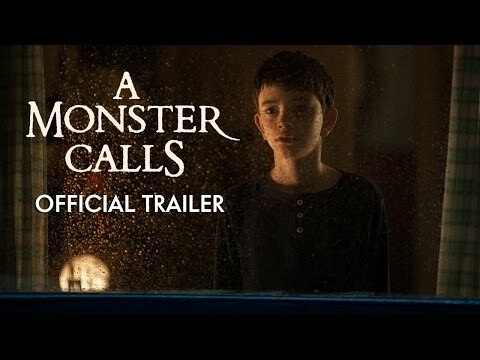 Synopsis: 12-year-old Conor (Lewis MacDougall) attempts to deal with his mother’s (Felicity Jones) illness and the bullying of his classmates by escaping into a fantastical world of monsters and fairy tales that explore courage, loss, and faith.